Day Three of the Fed Up Challenge was also the first day of my volunteering at a local hospital's gift shop. So I spent today selling, among other things, candy bars and cheddar cheese potato chips. LOVED the gift shop scene -- enough chit chat to keep me happy, the money raised goes to a good cause, and it exercises my body (standing and walking) as well as my brain. 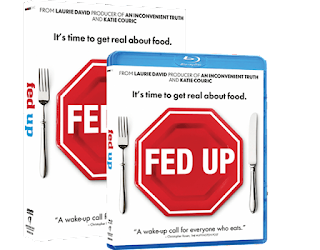 I am on board with this challenge, particularly since I watched Fed Up the movie. 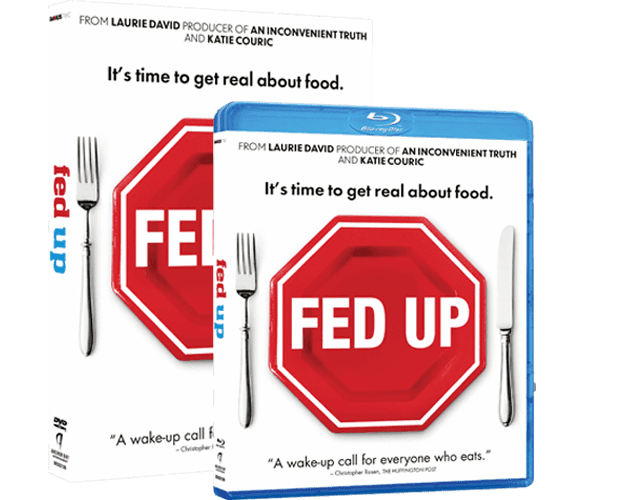 This movie lays out the physiological and political reasons why we are in the obesity health disaster that we are in -- including the fact that many "thin" people are "fat inside". Fascinating stuff. It makes the argument that a calorie is not a calorie and that traditional diet and exercise is doomed to fail. It made sense to me, but I am sort of ignorant on this topic. It cost $3.99 to rent the movie on Amazon and I watched it on my laptop while I chopped brocolli and other foods for dinner. You can also buy the DVD or access it in other ways. I recommend it. I'm funny about candy... if I don't have it in the house or see it, I'm fine without it. But having that Snickers appear in my Bloglovin' roll and reading about it has me craving it. I need to challenge myself to cut out sugar for 10 days to see if I can break some of my habits. Thanks for inspiring me! sugar is everywhere! I find this experiment fascinating. If you decide to do it keep me posted! I'll look for this movie. I've watched several of this sort. Thanks for the recommendation.